I spent the last week of april in a floating hide workshop pilot arranged my MrJan Gear. We left from Finland to Latvia with Markus Varesvuo and met Tom Dyring (Norway) and Misjel Decleer (Belgium) in Nagli. The pilot was arranged by Dabas Tures an MrJan Gear. There are many fish ponds in around the village of Nagli an many migrating and local birds take advantage of them, fishing and nesting there. Some of the ponds are shallow enough for the use of a floating hide. You can move with the hide along shoreline or go through and blend in the thicker vegetation. The idea is to stay in touch with the bottom of the pond and act as an anchor, preventing casting away with the wind. The guesthouse is situated right next to a pond, where tens of thousands of white-fronted geese were spending their daytime. It was situated under a 100 meters away so it was easy to go there to photograph in morning and evening lights without needing to get any transportation. Some of the other ponds we used were on the other side of the village, about 10 minute car ride away. Using any of the ponds to this purpose needs to be cleared with the owner of each pond. Main subject of this pilot was to scout the ponds, how can you move in them, test out the hides and of c photograph some local and migrating waterfowl. Our timing was a bit off for the peak of migration but there were a lot of local birds and masses of migrating white-fronted geese. Red-necked grebes and coots were the most photographed birds of the trip, if not counting for the thousands of geese, which were a pretty impressive thing to photograph. 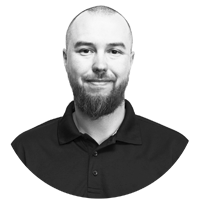 One of the most memorable things was a moment when the whole flock of geese got scared of a white-tailed eagle and got up in the air all at the same time. A local eagle tends to sit in a near by birch, looking out to the ponds. The most photographed bird was the red-necked grebe. There were multiple couples living and nesting in one of the ponds. This was the best pond for the use of a hide since it was shallow enough and you could watch the birds from the thick vegetation along the shore. The birds avoided us in the first few sessions but quickly adapted to our presence. The were no longer battles for territories so the birds were focusing on feeding and hanging out. Some of them had already built a nest in sheltered in the thick reeds, but we were not able to reach those places with our hides. The floating hides were packed in the car partly dissembled. Back of the transporters got filled wth four hides and all of our gear as we moved from the guesthouse to the ponds and back. Below you can see “The Swimming Team” ready to go. The pond is big enough for four photographers with their hides being able to shoot in peace and not to be in each others way. I could spend an hour there without seeing anyone else. 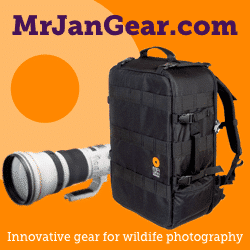 MrJan Gear is an european photographing gear and equipment manufacturer, making backpacks, bean bags and a floating hide among other things. MrJan Gear os mostly known for their Boris – backpack and floating hide.